Piech's purchase of Ducati will now extend VW's product range from high-powered motorcycles (pictured) to 50-ton trucks. BERLIN (Bloomberg) -- Ferdinand Piech has added six brands during his two-decade tenure leading Volkswagen Group. Now he is about to add another with the purchase of Ducati. This time he risks overreaching. The 860 million-euro ($1.1 billion) deal for the exotic Italian motorcycle maker, which was approved on Wednesday by the Piech-chaired VW supervisory board, raises the number of VW nameplates to 11 and stretches the automaker's product range from 195-horsepower two-wheelers to 50-ton trucks. The addition of Ducati isn't likely to add much to the company's bottom line and may prove a distraction for Piech, who is already working on the integration of the sports car maker Porsche. "The Ducati deal shows that Piech is an engineer and engineers are sometimes like little babies," said Ferdinand Dudenhoeffer, director of the Center for Automotive Research at the University of Duisburg-Essen. "It's a new toy." 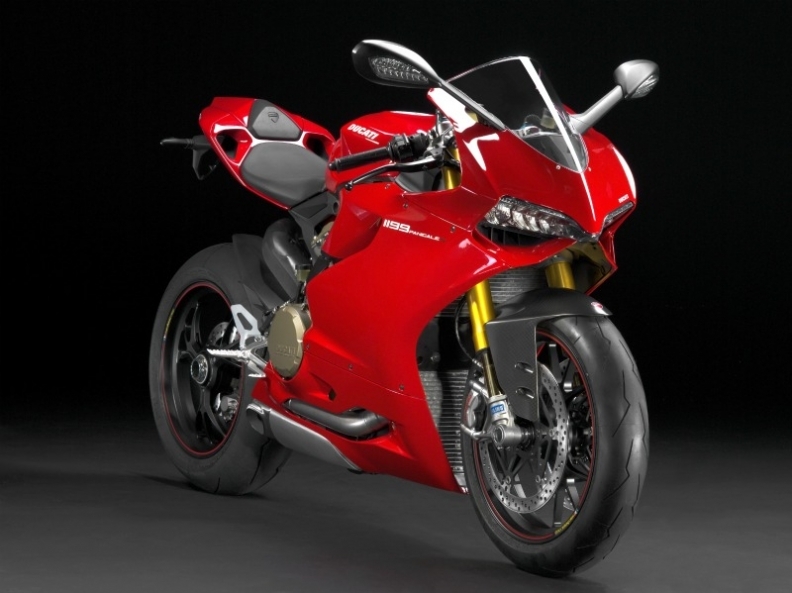 Absorbing Ducati adds another project for VW management, which is already tasked with integrating Porsche Automobile Holding SE's carmaking operations, fashioning a truck alliance with affiliates Scania and MAN and thwarting Suzuki's efforts to force it to return a 19.9 percent stake after their partnership failed. VW is aiming to overtake GM and fend off Toyota to become the top global carmaker. VW's diversification and accumulation of new brands counters the strategy at its biggest competitors. Fiat last year spun off its Iveco truck operations into Fiat Industrial to push its integration with Chrysler Group. Ford unloaded Volvo, Jaguar and Land Rover to become leaner. General Motors Co. shuttered the Hummer, Pontiac and Saturn brands and sold Saab as part of its bankruptcy reorganization. "With heavy trucks, and now motorcycles, they may be coming to the limits of the types of products they understand with their car way of thinking," said Christoph Stuermer, an IHS Automotive analyst in Frankfurt. "With trucks, the inside - - the layout of the motor and the transmission -- matters, but the packaging doesn't" unlike cars. Volkswagen last week raised its stake in Munich-based MAN, the maker of trucks and buses, to 73 percent of the common shares from 56 percent. The move is part of an effort to forge an alliance with Scania, which VW controls through a holding of 71 percent of the Swedish company's voting rights. MAN and Scania follow Lamborghini, Bugatti and Bentley as brands added under Piech's reign, which dates back to 1993 when he became chief executive officer. Piech, who turned 75 this week, became chairman in 2002. Buying Ducati could be a distraction for Piech (pictured), who is already busy trying to integrate Porsche into the VW family. The German automaker is exploring alternatives to integrate the Porsche brand after a merger with the Porsche SE holding company failed because of legal tangles. VW already owns 49.9 percent of the carmaker after Piech crossed his cousin Wolfgang Porsche to thwart Porsche's takeover of Volkswagen. Ducati, which will be part of VW's Audi unit, last year sold about 42,000 motorcycles such as the $28,000 Superbike 1199 Panigale S Tricolore. The Italy-based company's earnings before interest, taxes, depreciation and amortization rose 39 percent to 93 million euros in 2011, a person familiar with the figures said March 13. Revenue rose 20 percent to 480 million euros. Volkswagen, which last year generated 159 billion euros in revenue, can safely afford the purchase, with 17 billion euros in net liquidity at the end of 2011. 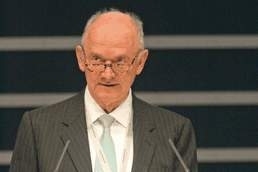 Piech was standing for his third five-year term as chairman at Volkswagen's annual shareholders meeting on Thursday in Hamburg. His wife Ursula, a former kindergarten teacher, has also been nominated for the supervisory board, extending Piech-Porsche family's influence over the company. With the addition of Ursula Piech, the number of family members on the 20-member board would rise to five. Shareholders of Qatar Holding and the German state of Lower Saxony each have two board seats, while 10 seats are held by labor representatives in accordance the German corporate rules. Hermes Equity Ownership Services, a London-based fund manager and investment adviser, criticized the lack of independent members. "We will not support" the proposal of Piech to a third term and the nomination of his wife, Hans-Christoph Hirt, Hermes's executive director wrote in an April 17 letter to Piech and CEO Martin Winterkorn. Even with the criticism, few people deny Piech's contribution to Volkswagen. When he took over as CEO in 1993, the carmaker was unprofitable, posting a loss of about 992 million euros. Last year, the automaker reported a record profit of 15.4 billion euros. Over that period, the group's sales nearly tripled to 8.36 million vehicles from 2.96 million in 1993. Last year, the company surpassed Toyota to become the world's second-largest carmaker. "He's done all the right things," said Juergen Meyer, a fund manager with SEB Asset Management in Frankfurt. "He thinks long term. He built up Audi at a time when competitors that are now fighting for survival gutted their brands." Piech is the grandson of Ferdinand Porsche, who developed the Beetle under a contract with the Nazis in 1934 and founded the Porsche carmaker. Piech's career at Volkswagen began in 1972, when he moved to Audi from Porsche after the family decided to end its active role in the sports car manufacturer's operations. At Audi, he pushed the development of the Quattro all-wheel-drive system, helping establish the brand as an innovator. "After establishing Audi, Piech took over Volkswagen at a time when it was in a tense economic state and transformed into one of the world's leading automotive companies," Ulrich Hackenberg, the VW brand's development chief, said in an April 12 interview. "Volkswagen wouldn't be where it is today without him and I admire him for that."